Your first dental appointment will be about getting to know each other. We will discuss your goals and what brought you to our practice, learn about your medical history, and talk to you about your treatment options. You will be given an in-depth comprehensive clinical evaluation. 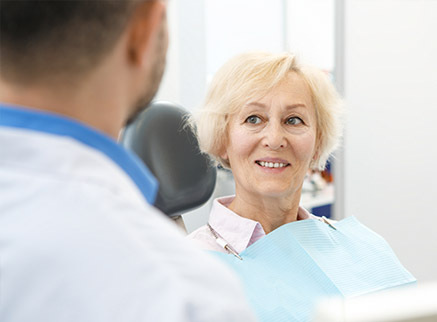 We'll thoroughly review our findings and present a detailed dental treatment plan that makes sense to you and fulfills your dental health needs and esthetic goals. 1. Getting to know you and what your priorities are. 2. Review of your medical and dental history. 3. X-rays of all of your teeth. 4. Comprehensive oral exam using the intraoral camera. 7. Charting of existing dental conditions. 8. Relevant photo tour of your oral environment. As you can see, this first visit is very thorough. Please allow at least 90 minutes. You will not normally have your teeth cleaned on this first visit (we don't know what kind of cleaning you need). If you haven't had a professional cleaning in over 12 months, you may need to have a special, more intense cleaning, called a debridement, to remove built up plaque and tartar, so the Doctors can give you the best possible exam. 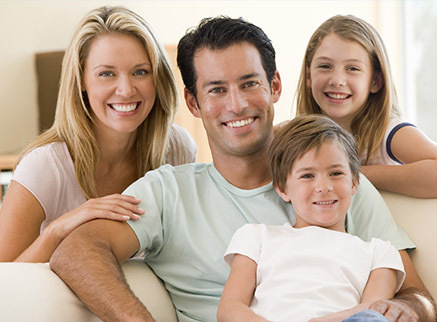 Many patients meet us for the first time because they have a dental emergency such as a toothache or broken tooth, in which case the emergency is handled first and then the patient is scheduled for a comprehensive exam on their next visit. X-Rays (if applicable). You can either bring them with you or request your doctor send them to us before your appointment date. List of current prescription medications you are taking. List of any medical conditions that could affect your treatment. Filled out patient registration forms. This will save you time at your appointment. Insurance information. If you have dental insurance, please bring your card and any necessary completed forms, including referral paperwork (if applicable). This will also save time and allow us to help you process any claims.